After a few not so good experiences by the client, team Dikonia was put under test for its skills. A descent yet appealing to users design, to portray the image of Religious Guru was to be made. Challenge was also posed in terms of the backend connectivity and speed as regular additions of audio and video files was to be made. Design - This website was a challenge put in front of team Dikonia in terms of design. Having to portray the personality of a religious guru, the design plan of the website was not so easy. The website was custom designed, making sure that the users get positivity around them when they visit the website. Eye catching and vibrant colors like Orange, red, yellow were very flawlessly used to personify the look and reflect the personality of the website. Blog - Website features blogs by the admin and the ability for any user to share his views on them. 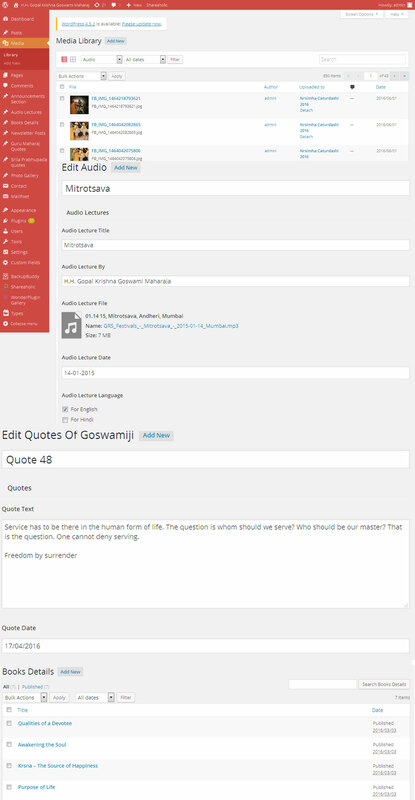 A comment system was integrated in the website along with the blogs module to facilitate users. 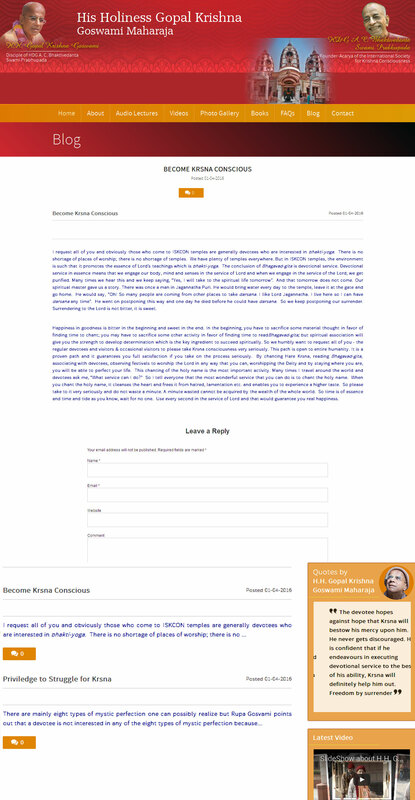 Moreover, counters for the comments on the block were setup to acknowledge the acceptance of the blog. 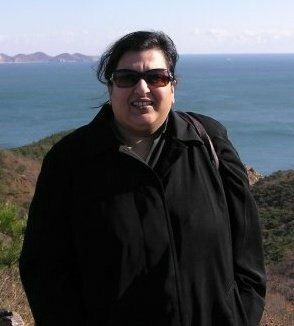 Media - This was a very crucial requirement of the website as there were regular updates for the media files by the admin. Images, audio and video files were among the constant uploads by the admin. 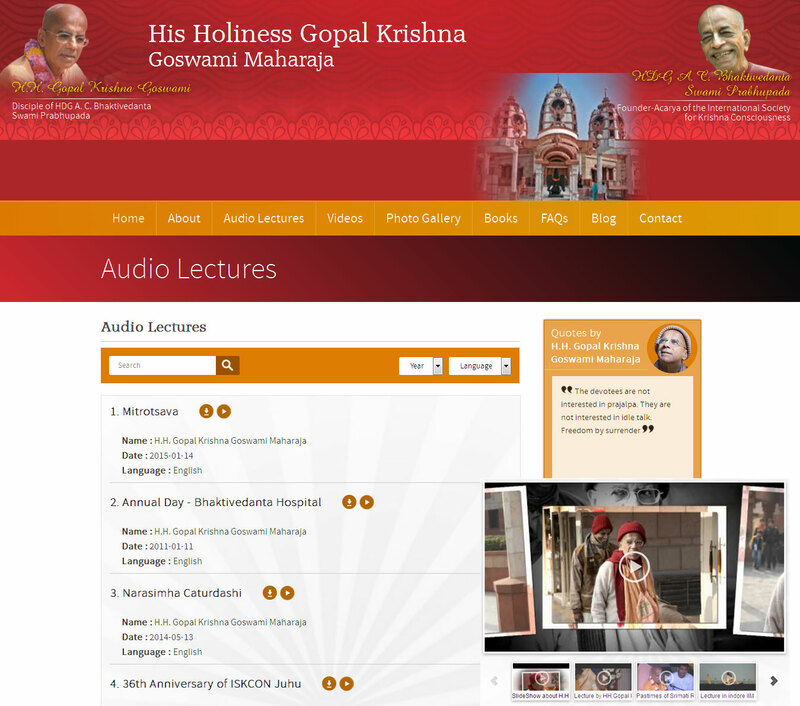 For the users facilitation, there were online audio players with YouTube embedded videos were included on the website. Apart from this, users were also allowed to download these files. Analytics - To keep a track of the users visiting the website and monitor the traffic in every possible way, there were various Tracking and Analytics setup in the website. 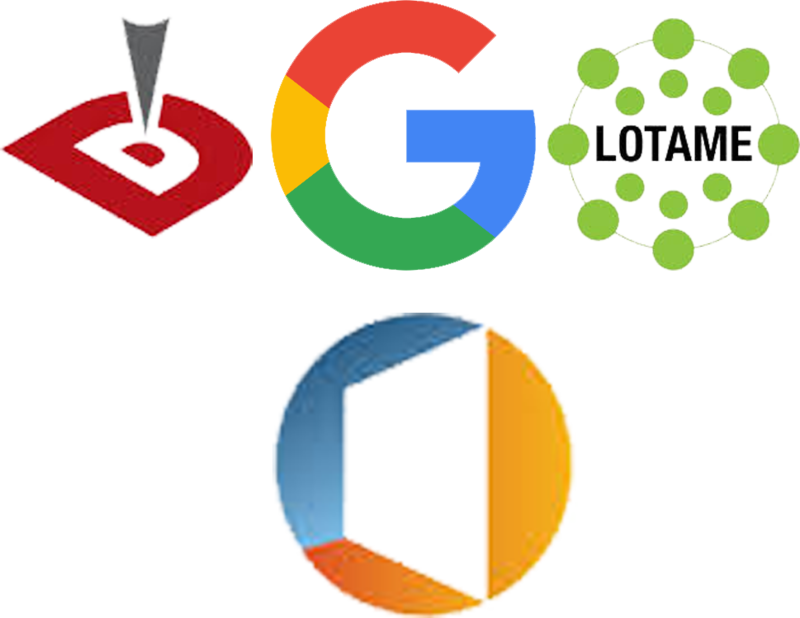 Not just the conventional Google Analytics but other plugins such as Datalogix, Lotame Crowd Control, comScore and many more were added to the Admin’s convenience. Admin - To efficiently manage the website’s content and the media files a very easy to use and robust Admin Panel was setup for the website owners. Nothing like the traditional WordPress Admin Panel, special attention was paid to the proper layout and distribution of the content sections on the website.